In a video posted on the White House’s Twitter account on Monday, National Security Adviser John Bolton issued a strong warning to Iranian Ayatollah Ali Khamenei. The message was issued as the country celebrated the 40th anniversary of their Islamic revolution. 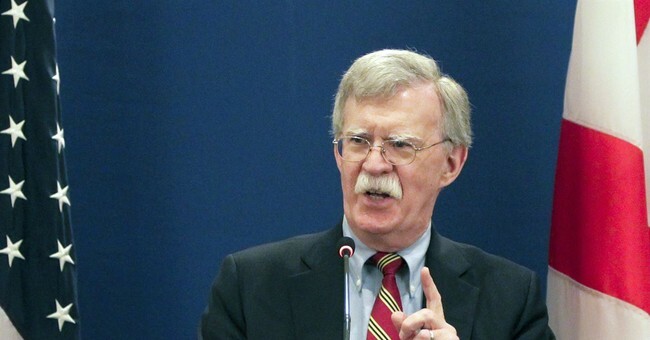 While noting that they continue to be the biggest financier of terrorism around the world, Bolton said the worst part of the Iranian leadership is how they treat their own people. “Perhaps worst of all, the people of Iran have suffered grievously. Right now unemployment is at record levels. Inflation is at an all-time high. The Iranian currency has gone through the floor,” he explained. "For all your boasts, for all your threats to the life of the American President, you are responsible for terrorizing your own people and terrorizing the world as a whole. I don’t think you’ll have many more anniversaries to enjoy,” Bolton concluded. Ayatollah Khamenei recently said when they chant “death to America” they really just mean death to President Donald Trump and his Cabinet.